You are here: Home / Featured / X-Man (Nate Grey) Comics Reading Order! X-Man (Nate Grey) Comics Reading Order! “X-Man”. Singular. To the uninitiated, it’s a frequent misnomer for Wolverine- the mutant franchise’s most popular and recognizable member. Sometimes the eye-blasting Cyclops gets tagged with this handle and, okay, maybe even occasionally bald mentalist founder Professor Charles Xavier is mistaken. 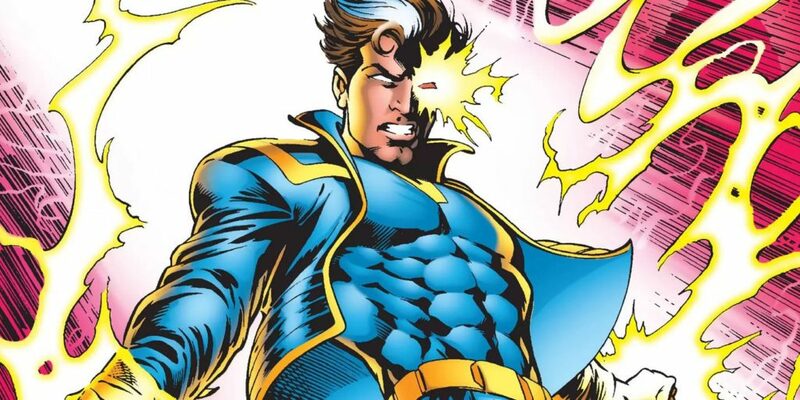 But really who we’re talking about is the character Nate Grey. Back in the mid-90s when all the X-titles got totally extreme makeovers due to the reality-warping circumstances of the “Age of Apocalypse” event, no title or character endured a more comprehensive overhaul than Nathan Christopher Charles JohnPaulRingoGeorge Summers, the mutant better known as Cable (featuring in solo title of same name). For most, the new status quo just meant the usual alternate universe cosmetic differences: eye patches, face tattoos, weird haircuts and maybe the unexpected new alliance here and there (starting with Magneto as decades-entrenched leader of the ragtag X-Men and taking it out from there). But Cable? It wouldn’t be out of place to say that the Askani’son got re-invented as wholly different character! Gone was the motif of the grizzled, old time-travelling cyborg warrior looking to wrangle a gang of freedom fighters into some shady commando mission. Instead, Cable’s hitherto very-much-downplayed psionic abilities are brought into an all-new, all-different focus. Writer Jeph Loeb and artist Steve Skroce align amnesiac Nate Grey with a group of mutant freedom fighters masquerading as a travelling circus led by the even-more-cyborg-y-than-usual Forge (so maybe there are some Cable parallels). In this short-form hero’s journey set during the Age of Apocalypse, Nate’s “ultimate mutant” destiny is pushed into focus when Sinister infiltrates the camp to reclaim him. The apparent breakout star of the AoA event, Nate’s series continues alongside Cable’s resuming ongoing! 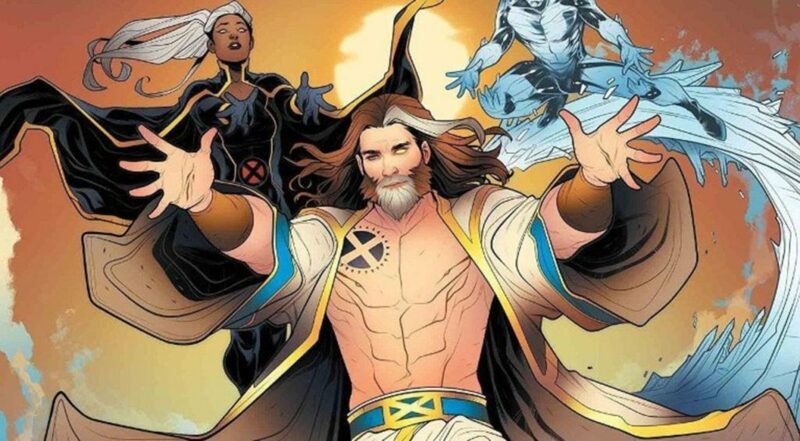 These issues find Nate Grey acclimating himself as reality resets back to the Prime Universe. However, he’s not the only one who made the leap across realities! In addition to taking more time to establish the transplant nasties of Earth-295, these stories also see the resurrection of Jean Grey’s evil clone (yup, Cable’s mom!). Somehow, that Summers family just seems to find a way to complicate… everything! 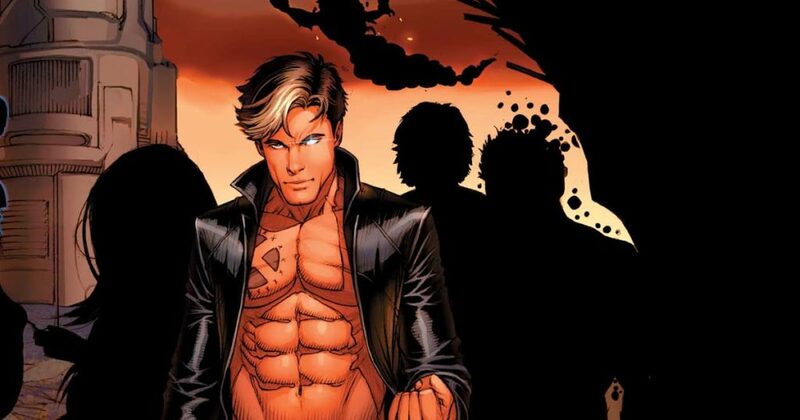 Nate also finds time to make rounds and introduce himself to the extended X-family, putting in face-time with Professor X, Rogue and making cross-over appearances with Excalibur and his “twin”: Cable. Whose Macguffin Is This Anyway?! Nate’s Omega-level mightiness hits the radar of evil psychic monster Onslaught big time! A mega event ensues (see the Comic Book Herald Onslaught reading order) that seemingly kills all the non-mutant heroes. In the wake of Onslaught, Marvel’s remaining “In-Universe” titles kinda close rank a bit- propping each other up quite regularly in some sort of “damage control synergy”. In this, you get frequent cross-pollination of Nate and the Friendly Neighborhood Just-Getting-Outta-That-Whole-Clone- Thing Spider-Man. Why not re-invigorate ol’ Spidey by pairing him up with the mid-90s mutant “It” boy?? Relatedly, Nate also throws some of his “Poochie” magic towards some X-Factor matters as well during these issues (but, really, isn’t Dark Beast kinda more his problem anyway?). Mutants are Public Enemy Number One in the aftermath of Onslaught! Nate throws down against some Prime Sentinels and helps reunite his sorta fam, tying up a continuity loose-end by bringing Jean Grey’s long-lost niece and nephew home. Sorry, but as of this writing, in order to explore these stories, you’ll have to go digging for the floppies in the back issue bins. 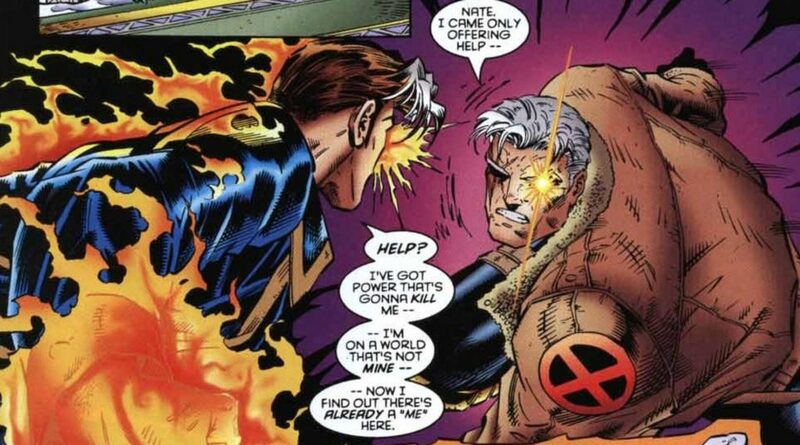 The “Blood Brothers” storyline, featuring Nate and Cable squaring off against their evil time-travelling clone, Stryfe! Another gap featuring a two-parter celebrating the respective fiftieth issues of both X-Man and Generation X (“War of the Mutants”). Really, this is kinda omission is surprising given Marvel’s love of all things over-the-top X-90s! A team up with Cyclops and Jean where they discover part of the Age of Apocalypse merged with a mountain in Alaska! Actually available on Marvel Unlimited! Professor X breaks up the X-Men for mysterious reasons, so Cyclops and Jean form a new strike team to save a new offshoot of mutant: the mannites. Nate gets to play on a team for this one-off astonishing x-squad! Loose tie-in issues that guest-star the Fantastic Four in a prelude before Nate cycles into the main event. Uncollected but available on Marvel Unlimited! Circa 2000, Warren Ellis is brought in as “mastermind” (read: “showrunner”) of the “Counter-X” imprint: a home where the second-tier X-titles would receive “edgy” reimaginings for the new millennium. The kinda place where X-Force takes on a long leather trench-coat and goatee Matrix-type inflection. It is here that Nate Grey becomes a shirtless, shoeless, rope-belt-havin’ “mutant shaman”- complete with tribal-looking “X” chest tattoo (hey, it was that era…). It’s interesting to note that the character who started out as the makeover gets such a severe transformation once again! The stories in and of themselves are intriguing yet jarring in that they’re very hard sci-fi and bear very little resemblance to the character or status quo of previous eras. Consequently, as Ellis got the plate spinning and let other creators move in full time, the plug was pulled by issue 75 when it seemed that Nate Grey’s consciousness became one with the atmosphere to protect Earth from psychic aliens or somesuch. Per Cyclops’ mandate to bring Nate Grey back into the X-fold, X-Man joins Dani Monster’s squad in Dan Abnett and Andy Lanning’s series writing debut! Nate serves as bit player as part of extended cast for Team Cyclops. Nate makes guest-app as Dani Moonstar’s new significant other in 2013’s shamelessly bro-tastic Fearless Defenders #9. Set unabashedly in late-90s continuity, the Nates go on an “Untold Tales” time-travel adventure in 2018’s Cable #157, meeting other alt-reality versions of themselves and encountering Carpenter-esque sci-fi monster horror. Realizing that he’s dying (again? still?? ), Nate returns to his “Mutant Messiah” ways but his heavy-handed want to save the world from itself is met in opposition by a massive force of X-Men. This leads directly into Spring 2019’s upcoming multi-book Age of X-Man event! Comic Book Herald’s complete guide to the Age of X-Man! hey, matt. great to see you here again. always fun to have a witty, well-written reminder of why im glad i was on hiatus from comics between 1998 and 2004. lol but i did retroactively become a fan of the pre-counter gen x run by faerber and the dodsons. thanks for reminding me that i still havent read the 50-50 x-over with x-man. peace.